Efforts to ensure transparency and accountability of monitoring system in implementation of CDM projects in accordance with the norms of Kyoto protocol. Burning of fossil fuels is a major source of industrial greenhouse gas emissions, especially for power, cement, steel, textile and fertilizer industries, etc. The major greenhouse gases emitted by these industries are carbon dioxide, methane, nitrous oxide, hydrofluorocarbons (HFCs), etc, which all increase the atmosphere’s ability to trap infra red energy and thus affect the climate. The Kyoto Protocol is an international agreement between more than 170 countries, introduced the system of carbon credits which came into existence as a result of increasing awareness of the need for controlling emissions. Under the Kyoto Protocol, signed in a UN mandated convention, most industrialized countries have to reduce their collective Green House Gas (GHG) emissions by at least 5 percent by the period 2008-2012, taking 1990 as the base year for comparing the emission levels by the period. Carbon Credits are generated by industries in the developing countries that shift to using cleaner technologies and thereby save on energy consumption, consequently reducing their greenhouse gas emissions. These credits are known as Certified Emission Reduction (CERs). For trading purposes, each ton of carbon dioxide (the major GHG) emission avoided gets the enterprise one CER which they can sell either immediately or through a futures market, just like any other commodity. The certificate are sold to entities in developed countries who have emission reduction targets to achieve and find it cheaper to buy ‘offsetting’ certificates rather than to invest in reducing emissions from their own industries. An investor from an industrialized country, or an industrialized country government, can invest in, or provide finance for, a project in a developing country that reduces greenhouse gas emissions so that they are lower than they would have been without the extra investment – i.e. compared to what would have happened without the CDM under a business as usual outcome. The investor then gets CER for the reductions and can use those credits to meet their Kyoto Protocol target. Under C.D.M. Project, before implementation of C.D.M project, the green house gases emission can be taken as baseline values and after implementation of technology the green house gases reduction can be calculated by internationally recognized methods. The reduction of green house gases can be converted in Certified Emission Reduction – C.E.R. and can be described as in tones of reduction of green house gases. Industrialized country will get C.E.R. or Carbon Credit by investing in the project. The case of the practice of CDM as taken up by Paryavaran Mitra has two parts to it- one, as history, the case that led it to work on this issue, and two, the larger issue of non-compliance of CDM guidelines, which is now the focus of action. The first part of the case pertains to a company called Gujarat Fluorochemicals Limited (GFL) which is elaborated in some detail. Pollution from GFL became the reason for starting environmental activism in organized manner in Gujarat. Gujarat Flurochemicals Ltd. – GFL manufactures refrigeration gases – HCFC22 in Ranjitnagar village in Ghoghamba Taluka of Panchmahal district since 1989. It is situated at 160 km southwest of Ahmedabad. They were emitting fluoride in waste water and air since the operation of the plant began. Fluoride level of area in air, water and soil increased. Bore well water deteriorated due to fluoride increase. Air emission had affected crops and other vegetation of surrounding farms. So farmers of the area approached Gujarat High Court to get justice and filed Public Interest Litigation vide no. SCA 5280/1995 against GFL. 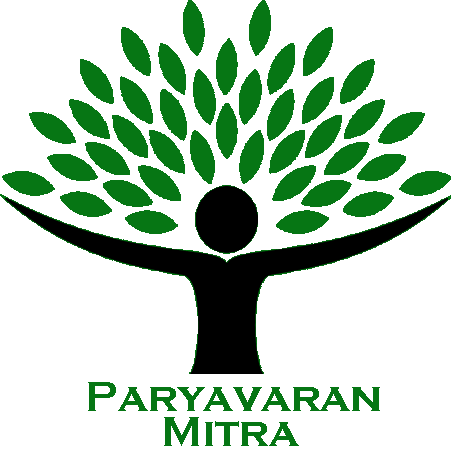 This case laid foundation of Paryavaran Mitra as an organization. After this case Paryavaran Mitra had started working formally as environmental organization in Gujarat. There was a leakage of a toxic gas from a tanker in Gujarat Flourochemicals Ltd. on 29/11/2005 that spread in the surrounding villages. Toxic gas release in midnight created panic and suffocation among the local villagers. Paryavaran Mitra wrote to the collector on 05/12/2005 seeking clarification regarding gas leakage. GFCL published public notice in various Gujarati & English newspapers clarifying that gas leakage did not happen from their premises. After this incident Paryavaran Mitra decided to understand the CDM process and projects in India. How was it possible that an industry which had been polluting natural resources since years could be registered as first Asian CDM project?! This contradiction raised suspicions about the process of carbon trading going on at a much macro level & forced the organization to take stock of the CDM projects in India. Act, but hardly got the required information. The second part of the case is the macro level status of CDM projects in India. Following are the issues raised by Paryavaran Mitra regarding the status of CDM projects in the country. There are absolutely no data on implemented and upcoming CDM projects. It is close loop between Government, Private Project Proponent, Operational Entity (third party evaluator hired by companies) and buyer. Now Multi Commodity Exchange has started trading CER in India since February 2008, so share holders are indirectly involved in carbon trading. There is not much information or awareness on CDM projects in public. It is very difficult to obtain information in this regard. An example of which is stated here, as the experience of Paryavaran Mitra. It shows the status of an international treaty in the country. “Initially Ministry told us to see websites of CDM India and UNFCCC for most of information asked, which was later provided in hard copies. Ministry has no record of transaction of CERs, Bank details and money earned for any project surprisingly, but terms and conditions of clearance for CDM for any project mention that project proponent should inform Ministry regarding any transaction!! Name of buyer of CER is confidential in nature so that information was not provided. Department of Forest and Environment in Gujarat has started a CDM cell to encourage CDM projects in Gujarat. But the cell does not have information of existing projects or their monitoring. Share holders are attracted towards CDM projects, as money earned by industries through the mechanism is treated as the company’s earning, and they are projected as assured returns in future in Annual General Meetings of companies. But nobody gives a thought to the condition of people living in surrounding areas. There is no proper record or data of the pollution spread in the environment by companies. Local people who have suffered due to that pollution in the past, now post the implementation of CDM, have been promised only a clean environment, and no compensation for what they have suffered. . The revenue from implementation of CDM is calculated as another income of the company and so gets the due concessions in the Income Tax. Government has still not introduced any tax formula to compute the taxation system for CDM revenues. The government has not yet started any monitoring system to oversee the actual levels of carbon emission reduction by the CDM projects that have already been started. First Indian CDM project was registered on 8 March 2005. In another 3.5 year there are other 354 projects. But even after 3.5 years whether we are able to check Green House Gases reduction or sustainable growth? CDM projects are not carried out in prescribed method with participation of people, especially those who are affected by industrial pollution. There is no transparency, accountability, checks, control or sharing mechanisms in the entire of operation of CDM projects, which is the area of contention. While international norms are being flouted, what is at stake is colossal damage to the environment in exchange for exorbitant portions of money which can actually be used to alleviate the same & to the benefit of those affected by pollution. Therefore, a mechanism which was introduced to bring down emission of green house gases has been made into a money spinning tool by industrial houses. And while the government remains in oblivion on the matter, a joint effort to save our environment has been dangerously crippled. Ministry of Environment and Forest, which is the designated national authority to deal with this issue, has set up 4 criteria for indicating sustainability – Social, Economical, Technical, and Environmental. But whether these criteria really cross checked? Are we really going towards sustainable development or its mere eye wash? The strategy was to make use of information to be able to raise specific objections in the working of CDM & to use it as references with selling & buying parties of carbon credits for their accountability. As mentioned, state agencies did not have any records or information about the transactions of CDM implemented by the companies. Hence, not much information was available & so studying the CDM, understanding it and doing a fact finding about the projects in the country was a very important step in moving ahead. As mentioned, the efforts to understand & work on bringing transparency & accountability in the operation of CDM started with Gujarat Flurochemicals Limited (GFL). It was this experience which propelled Paryavaran Mitra to get a better understanding of the concept & working of CDM. More information & understanding of the issue convinced Paryavaran Mitra about the misuse of CDM & helped them to claim the same to Government of India as well as UNFCC. The organization wrote to UNFCCC in May 2006 for information on public consultation in CDM process, to which the UN body advised them to approach their national government, saying the public consultation is Central government issue for any country. After email conversation of one year UNFCCC advised the organization to put comments at validation stage of any project. Ministry of Environment & Forest, Government of India, when approached on public consultation issue, replied that the process was designed by UNFCCC and their role was limited to give clearance as a host party. Several Right to Information Act applications one after the other finally gave some data, but the Ministry did not have any record of transactions of CERs, bank details & money earned through CDM projects. This was despite the conditions of clearance of CDM projects clearly requiring that project proponents need to inform their ministry regarding any such transactions. In the absence of such information, not much of concrete action could be taken. Nevertheless, Paryavaran Mitra started to work on this issue by raising questions vis-à-vis the companies regarding CDM projects, specifically in the area of public consultation. They sent queries and responded to the information/ notices published by companies in newspapers. The work on the issue of CDM at this stage continues to bring to notice of the industries and authorities any flaws in the area of public consultation in CDM projects. The industries have started to publish notices of public consultation in newspapers giving an opportunity to all concerned to participate in it. Paryavaran Mitra wants to take up a much in-depth & comprehensive study on the issue, to gather more information & study other aspects. This will enable the organization to launch action at appropriate forums & at larger scale that can bring desired changes in the dealing of CDM projects & hold industries & authorities accountable for implementing the mechanism in the right spirit & method. But it is not being executed for the want of an appropriate institutional partner. A company called Maize Products Ltd. published notice in the newspaper for its public consultation. The notice did not mention the venue for public consultation. This was brought to the notice of the company, and the very next day the company published the notice again mentioning the venue of the event. Of course it was published in an English newspaper (Indian Express) and that could not be changed. A company called Amreli Power had organized public hearing for their CDM project. Paryavaran Mitra spoke to theme & asked them to prepare their presentation in Gujarati so that local residents could understand it & a discussion could take place. The company had a logistical difficulty of finding a translator who could translate their presentation from English to Gujarati. Paryavaran Mitra helped them to find a translator for the job and the presentation could be made in Gujarati. The company agreed to commit 3% of their CER revenue for community development work. This has also made Paryavaran Mitra the only organization in the country working on the issue of CDM. Many companies have now started the practice of publishing notices in newspapers for the information of people regarding public hearings conducted by such companies. The MoEF has asked the companies to commit 2% of their CER revenues towards social development work. However, much needs to be done on this issue and it remains a challenge, as it involves international markets & enormous amounts of money that is being transacted. But it will need more study on the subject, a greater exposure to the working of CDM projects and more alliance building to be able to ensure the usage of CDM for reduction in emission of green house gases. Social Benefits: A clear social gain has been the opportunity available to people & other stakeholders to participate in public consultation by publishing notice of the same in newspapers. This has given opportunity to stakeholders to voice their concerns about environmental pollution in their area. Economic Benefit: If the CDM projects are implemented in line with the laid down parameters & objectives, the money used therein will bring in cleaner environment which will save the resources of state agencies for pollution control. Ecological Benefit: It goes without saying the ecological benefit properly implemented CDM projects are capable of bringing. Reduction in emission of green house gases & carbon will contribute a great deal to combat global warming, the biggest environmental threat facing all of us today. Rationale: Why Paryavaran Mitra took up the case? The reasons for Paryavaran Mitra to work on the issue of CDM were non-compliance of an international treaty and ongoing damage to environment in the garb of pollution reduction. The CDM projects are not implemented as per the guidelines of the treaty and the damage to environment continues while industries, both in India and abroad (the buyers) receive CDM certification and money. Industries make the required efforts to install CDM & actually reduce emission of GHG. People living in surrounding areas are benefited in some way by the financial gains that industries make from selling their carbon credits as part of CDM.